Over two years ago I wrote about the launch of the Mac App Store, Apple’s resident app store available on all modern Macs, and the three genealogy-related applications that launched with it. At the time the three applications available were MacFamilyTree, Family Tree Maker, and Date Calculator. 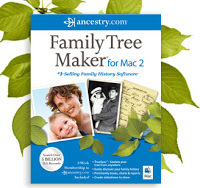 MacFamilyTree and Date Calculator are still there, while Family Tree Maker has been dropped from App Store. Newly added applications include Heredis, My Family Tree, GedScape Gold, and MemoryMiner. Why did Ancestry.com drop Family Tree Maker from the App Store? I have no idea, but there are a few possibilities. The coding standards for applications in the Mac App Store are very strict, and they’ve gotten stricter over time. It’s possible one of the those restrictions made it difficult for Ancestry.com to comply with the rules of the store. It’s also possible that the lack of a clear upgrade path in the App Store was a bigger issue. Ancestry.com sells annual upgrades to their genealogy applications, and the App Store doesn’t make this very easy. If anyone purchased Family Tree Maker on the App Store, I’m curious if you received any notification that the app was pulled, and for what reason. Heredis had a major update recently, and that included launching it into the Mac App Store, as well as a free version for iPhone and iPad. Heredis calls this version the ‘Blue Suite’ and includes interperable version on PC, Mac, and iOS. I haven’t used this new version of Heredis, but it looks quite impressive. There’s actually a 20% off sale going on now for Heredis, through February 24, through the app store or through their web site. They have a free trial version also, so it’s worth checking out first. Two of the more interesting features to me include the ability to create illustrated charts (i.e. a tree superimposed on an actual tree graphic) and the ability to generate a book. I’ve published a genealogy book before, but it required a lot of work in Adobe InDesign, and took months to finish. Imagine being able to generate a book with a single click? I haven’t used this feature, but it’s something I think all genealogy application should offer in some form. My Family Tree and GedScape Gold are two apps I’ve never heard of before. My Family Tree seems to be a chart-based genealogy app that keeps an updated chart that you can add people to, but they show no other features in their description, and no trial version on their web site. According to reviews in the App Store, there are some bugs and support is not easy to get. It looks like an early version of an app that could offer a simple genealogy option to some, but it isn’t quite ready yet (or supported well enough). GedScape Gold is a program to browse GEDCOM file and output a web version of your family tree. The application seems to have mixed reviews, although unlike My Family Tree, there is a support site and a free trial version available to test before buying. I suppose there is a purpose for GEDCOM viewers, but I certainly lean towards more full-featured applications. MemoryMiner is an application I really like, and am happy to see it’s in the App Store. This application fits in my visual sensibilities, where you can take a large number of photographs and link each person in the photo and can switch between looking at photos fro ma specific place, or of a specific person, etc. It’s very powerful, and also includes the ability to import a GEDCOM file to populate the person database. 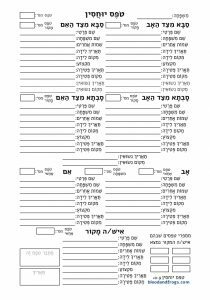 My only big problem with the app is that while you can import a GEDCOM, it’s very difficult to subsequently update information on the people you import. 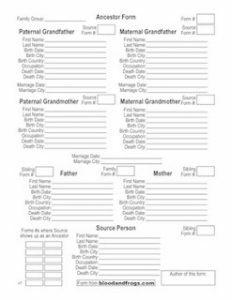 If you’re working on a project over a long period of time, chances are your family database will be updated, and it would be great if you could import those changes easily. Another problem is the web site of the company hasn’t been updated since 2011. Hopefully this is still an actively developed application, as it is unique in the way it allows you to tell a visual story of your family. One last note. In my post last year, I mentioned that Date Calculator was created by the same company that puts out GEDitCOM II, a very interesting genealogy program for the Mac. GEDitCOM II has some very advanced features I’ve never seen in any genealogy program on any platform, including scripting using Applescript, Python and Ruby (including an online library of downloadable scripts), allows you to completely customize the user interface (including downloadable UIs), outputting a book using LaTeX (see this PDF of a book output of the Windsor family), etc. It’s really quite an impressive program, but even though its been updated to work with application signing for OS X (a feature needed to show that a program is from a reliable source), it is not yet available through the App Store. I’m sure there are some good technical reasons for it not being available through the App Store, but it’s really a shame as I think GEDitCOM II is underrated and could use the extra publicity of being available through the App Store to gain marketshare. The number of genealogy apps available for tablet and mobile devices seem to grow every day. Genealogy software can make tracing your family tree a lot easier. Thanks for sharing.